The Concrete Jungle Weekly Chronicle – May 3rd – ColePowered Games Ltd.
As promised, I have some details on the beta version I’m going to be rolling out to backers as a result of the delay of the final release until the summer. I plan to have the beta ready in aprox 2 weeks- giving me enough time to iron out the worst bugs. At time of writing, the game contains 3 fully playable characters- each with their own skill tree with 20 unique skills. A good portion of those skills are unique cards and buildings, while the rest have other various effects on the game. You can play using these characters in solo mode (the game mode found in the preview version), or against the AI/local multiplayer in the new versus mode. The AI also plays differently depending on which character it’s playing as! I’m really pleased with the AI right now- I’ve spent most of the last week improving it and ironing out oddities in it’s decision making. It’s tougher than ever but I do plan on making some easier variations too before the release of the beta. As for the buildings, there are currently 135 cards ready for the beta, with 120 of them being buildings! That’s up from the 50 cards in the preview version for comparison. I’m quickly approaching the target of 150 buildings for the full release (with free expansion to 200 post release). It really is a much, much tighter game than the preview version- I can’t wait for you all to play it! It’s already hard for me to not sink a lot of time into playing right now which can only be a good sign. I’m currently addicted to playing the solo mode as last week’s character Giles– trying to build massive farms is fun. It’s very likely there will be a bit more content included with the beta than what’s listed above- but take this description as a minimum of what to expect. I’ll also do a mac build, but this will arrive up to a week after the PC build- the PC version needs to be functional before building for mac. Now the core gameplay is solid, the AI more or less complete, and the first batch of playable characters complete, I want to start putting together the story mode. In particular I want the first few levels to be a gradual introduction of the game mechanics, and act as a tutorial. Since there are a lot of mechanics to teach, I came to the conclusion that a gentle learning curve would be best for Concrete Jungle as opposed to the preview version tutorial which tells the player rather than shows. I want to do something akin to the first levels of Plants vs Zombies, where you start out with the very basic mechanics, but crucially you are still playing the game- not just being told what to do. Gradually more and more complexities are introduced until you are comfortable with everything. That’s my goal. Also the official deadline has been reached for backer building name submissions! If you haven’t submitted, do it quick– this is your last chance! As promised I’ve started working on the three top tier backer requested buildings. This week we have Camelot Castle requested by Laurence O’Brien. How could I say no to an epic Arthurian castle to go in the game?! 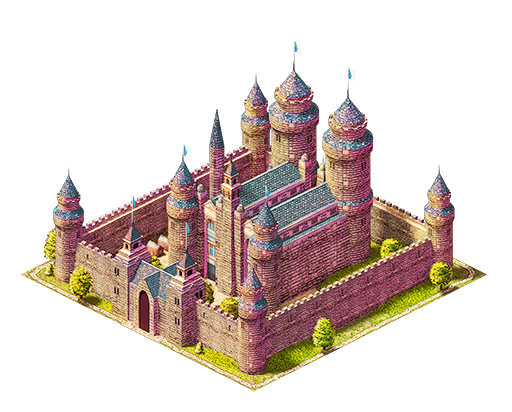 As you might expect, the castle will be a high level, powerful but rare ‘landmark’ building. I’m going to take an update break next weekend so I can focus completely on getting the beta ready. See you in 2 weeks with something awesome to play! Please keep continue to share such type of information again.